Another animal who decides to follow his own, different path; this is a cat known as Chote Meow. “Banished from their original homeland of Harmonystan, the cats have been living in the Dark Forest for a long, long time. No one trusts them and hardly anyone gives them any work. They steal. They kill. They cause panic and fear. But all that is about to change… Meet Chote Meow! He is the strangest cat in the world. His best friends are a rat and a crow. Even though his father is a famous cat burglar, this young cat won’t steal but sing for his supper. 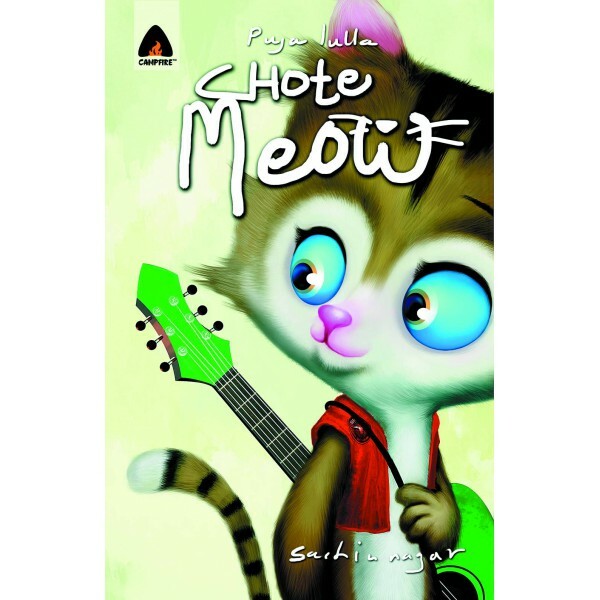 There is nothing that Chote Meow loves more than adventure and his guitar. Chote Meow’s love for adventure takes him both far and near. Harmonystan, the kingdom of his birth now ruled by an evil Sultan, is where their life changes. Whether it’s winning hearts, fighting bad guys, or forming a musical band this young cat will do it all.” This full-color book for younger readers was written by Pooja Lulla and illustrated by Sachin Nagar. Look for it from Campfire Orignals this August.